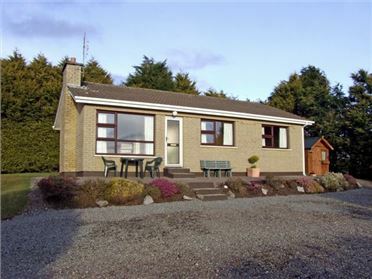 Stone Cottage is situated in Ballinahow, near to the popular coastal town of Ballydavid. The cottage sleeps six people and has three double bedrooms, two with en-suite shower rooms, a family shower room, a fitted kitchen with dining area and a sitting room. 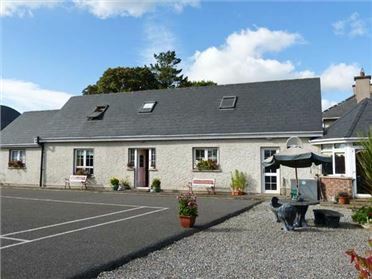 This cottage also offers off road parking for two cars and a patio garden with furniture. 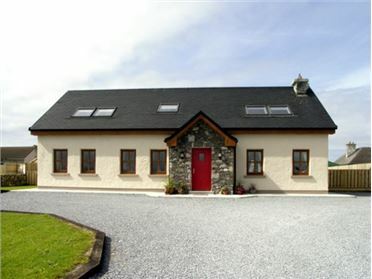 Situated in Ballinahow, Stone Cottage is the perfect cottage for family looking to visit the wonderful area of County Kerry. Four bedrooms: 1 x ground floor double with en-suite shower, basin and WC, 2 x double (one with en-suite shower, basin and WC). Shower room with shower, basin and WC. Fitted kitchen with dining area (seats 4). Sitting room (seats 7) with dining area (seats 4) and multi-fuel stove. Oil central heating with multi-fuel stove in sitting room. Gas oven and hob, microwave, fridge/freezer, washing machine, tumble dryer, dishwasher, TV with Freeview, DVD, CD/radio, selection of DVDs. Oil and starter pack for multi-fuel stove inc. in rent. Electricity charged via meter reading. Bed linen and towels inc. in rent. Cot, highchair and stairgate available. Off road parking for 2 cars. Lawned, private garden to front and patio to rear with furniture. Sorry, no pets and no smoking. Shop 4 miles, pub 1.5 miles. 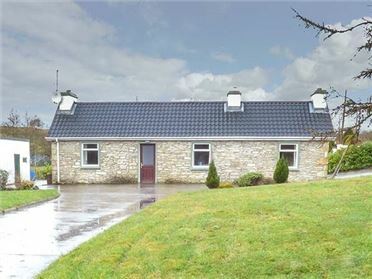 Note: One room on the first floor is used by the owner for storage, and will be locked while the cottage is occupied.